I've only been skiing once in my life, in the sixth grade, and had such a dreadful time throwing myself off the ski lift, tumbling down the slope, and coming to a screeching halt against the barn wall at the end of the hill (well, how else was I supposed to stop?) that I've never cared to do it again. But I would totally go if just to stay in one of these snug ski lodges. Have you ever been to one? I'd love to wrap myself in a giant fuzzy blanket, sit by the fire, and just sip hot drinks all day while the suicidals try their hand at those hazardous activities they call "winter sports." And even though it's finally getting warmer, I still wouldn't mind driving out to the middle of nowhere, surrounded by nothing but nature and not the slightest bit of wireless reception for miles around. I have only gone skiing once too...we had a similar experience...except that I was in college. 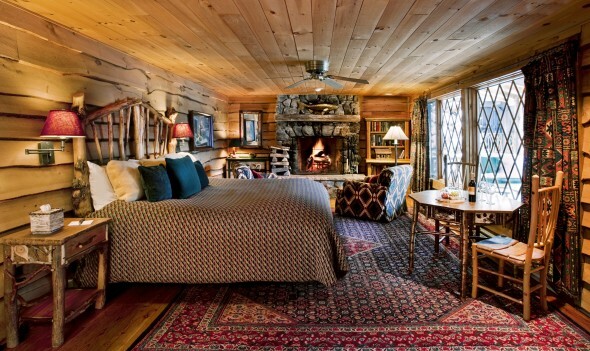 I always say that I want to go a ski resort, but not to ski, just to cozy up in front of a fireplace. Ha, were you at least able to get to the bottom while still upright? I don't know how people do it. Maybe I'll give it a shot again someday.